Starting off our Bootcamp Bonanza are Headbands from Sew Creative By Sara. Sara sells her headbands and many other great items on her Etsy shop. Sara has been sewing part-time for over 35 years and it has become her passion for the past 10 years. I was thrilled when I received Sara's headbands in the mail last week. They were wrapped so perfectly with a cute little bow. I would have taken a picture but I was so excited that I tore off the ribbon to reveal these three wild and unique headbands. When Sara asked me what type of fabric I wanted I told her I like fabrics that are wild and unique. She did a perfect job picking out the patterns for me! I was so impressed with how well this headband worked to hold back the sweat. Sara makes her headbands with terry cloth on the inside and a colorful cotton fabric on the outside and an adjustable Velcro closure in the back. The fit is great because it is adjustable and the way it keeps the sweat out of your eyes is amazing. It's exactly what I need for Bootcamp because let me tell you, I was sweating like I have never sweat before. Sara's headbands are so great that I plan to wear them for every form of exercise I do. You got me. I wont be wearing Sara's headbands just for the sweat relief. Check out these awesome fabrics she sent me!!! It doesn't hurt that they look cute too. This one is my favorite! I think I will be wearing it to Bootcamp on Wednesday. It is so me! Look how perfect and cute even her little tags are. Seriously, this woman is talented. I wish I had this kind of talent. I have the ideas but no talent for sewing. I actually broke my sewing machine on the first project I started. I always love to see people like Sara that can put there talent to good use and make things for those of us not so talented in that area. This is the terrycloth on the inside of the headband. This picture I just took off of Sara's site. It is another favorite's of mine. It will go with just about anything. What I love about these bands is that Sara, from Sew Creative by Sara, created them to use while biking. She is an avid biker and needed something that would fit under her helmet and still be able to catch the sweat before it dripped in her eyes. How creative is this woman!?! The best part is that you can use them during while doing any type of exercise or activity. She also uses them while gardening. These headbands are adorable, made well and so, so cute. Check out Sara's other headband's along with matching bike seat covers by clicking here. Sara has been so sweet to offer one of my readers two of her adorable headbands! 1. Visit Sara's shop by clicking here and come back and leave a comment sharing with us your favorite item. 4. For a fourth entry add me as a friend on Facebook by clicking here and then leave me a comment telling me you did so. 5. 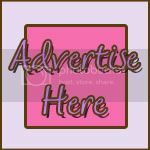 For a fifth entry add my button to your blog and post the link in a comment below. The Winner will be chosen using a random number generator. All entries must be received by Wed., Sept. 8, 2010 at 11:59 CST. The winner will be announced Thurs., Sept. 9, 2010. For U.S Addresses Only. Sew Creative by Sara is responsible for shipping prize. 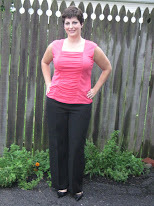 This review is my honest opinion of Sew Creative Is Sara. I was not told or paid to say anything in this post. I am not responsible for any prizes. My favorite item is the Pooh Child's Tote :) *Thanks* for the giveaway! How freaking cute! I love the very first thing I saw, Apron - Apples and Pears, I am seriously trying to not go find my visa right now. I WANT IT!!! how CUTE is she!? All of her things are so adorable! I wish I rode a bike just so I could get one of the adorable covers! I loved her christmas in July stuff, and I loved the green lime headband but most of all I LOVED the aprons! Especially the one with multiple fruits and the coffee swirls. She is so creative! LOVE her site--thanks for the introduction! I love the dinner set for two (the orange daisy pattern). So cheerful! I love the passport covers! Hi Jess! All I have to say is WOW!! I loved the headbands but the aprons were so cute!! I loved the Apples & Pears Apron, the Swirls of Coffee Apron and the Blue & White Polka Dot Apron. Alos, the Blue & White Swirls tote was adorable. 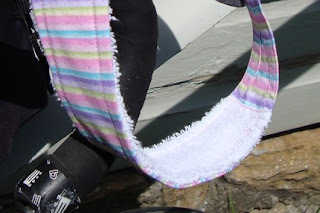 I visited her site- love the bike seat covers! I LOVE the coffee swirls apron! It was great meeting you this morning at bootcamp! I checked out the website and love all of the products but still have to say that the headbands are my favorite. I'm like you and love all the funky colors. Hope to see you Friday morning. Love the bike seat covers! Looks like a great birthday present for my daughter! I loved the passport pouch! It would be great for football games too! I love the zebra adjustable headband. I just became a follower! Great job Jessica! I am trying to lose 20lbs after having a baby and I am struggling. I am look forward to reading your blog for inspiration and some ideas and tips. Best of luck to you!